Official - Updated chat rules | Freedom! Discussion in 'Frequently Asked Questions' started by Koala_Steamed, May 13, 2016. We have had a lot of positive feedback with the chatroom, which we are glad to hear, but one of our jobs is to manage what can and can't be done within conversations with one another. These rules are very similar to the official Forum Rules, however we are collecting them all in one thread so that people can understand them. We advise reading through all of the rules before using the chatroom. 1. Advertising in the chat is forbidden. Doing so may result in a warning or a chat ban. Asking for a channel/video review. Freedom! 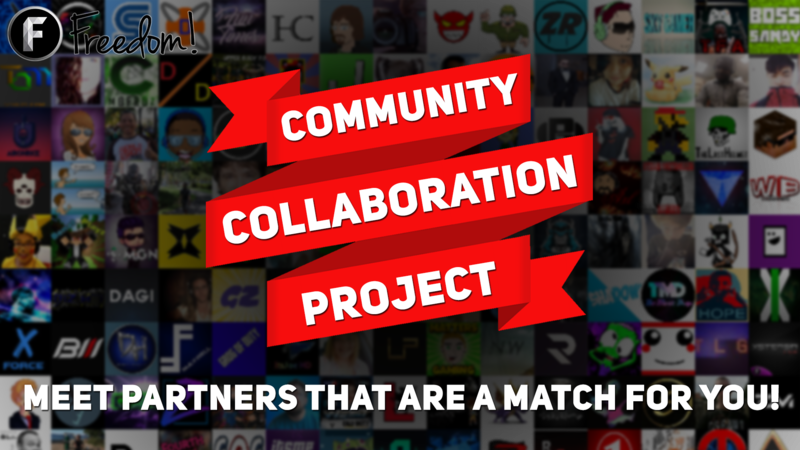 Partners can use our Community Review section for reviews. Promoting your own thread for views. If a thread is used to solve someone's problem, exceptions may be made. If you are unsure if a link is suitable or not, ask an administrator, moderator or sectional moderator. 2. Always be respectful towards others. No matter where you are, if you are talking to someone else, be aware that they are human as well, and should be treated fairly. Being disrespectful towards others is strictly forbidden and if you are seen disrespecting others, necessary action will be taken. 3. Refrain bringing up sensitive topics (religion, politics). Certain topics are best left out of public conversation, so any topics which can cause major offense should be left out. If you are ever offended by something that is being said, speak out and tell them politely. We will only take action if they continue without caring for the other members of the community. 4. Never ask for or give personal details away. As much as measures are put in place to ensure your safety, we must remind you that this is the internet, and not all people can be trusted with information. Keep it to yourself. 5. Staff members have the right to enforce the rules as they see fit. As staff members, we have had plenty of time to understand the general rules of the forums, therefore we understand what is and isn't allowed. Dont argue with any staff member if you disagree with the decision. Please note: If you ever feel like you were warned or banned for a reason that is not against the rules, you can appeal with our administrators, however their decision is final. 6. Don't try to find loopholes in these rules. You don't expect us to explicitly state every single rule breaking scenario do you? Please use common sense in the chatroom. 7. The general chat is made for the English language primarily, please use the other Rooms on the chat tab for other languages. 8. Don't backseat moderate while you are in the chatroom. Threatening to ban or get someone banned from a member of staff. Threatening to warn or get someone warned from a member of staff. Substituting the role of a member of staff. The report function is there to help us get to problems faster, however you are in no right to take over a moderator's role. This does not stop you assisting others if they have any questions. We are a community and we should try to help each other. 9. All other Forum Rules apply in the chatroom as well. Feel free to ask me, or any other staff member any questions you have regarding these rules. These rules are the same as the ones previously, but with some slight rewording, so even if you are a regular, make sure you understand everything stated above. Lazzerss, Tht kid tommy, opoderozo 12 and 6 others like this. opoderozo 12 and Hayat hayota like this.